What Do Women Do When They Don’t Feel Confident At Work? Do you ever feel like you’re just faking your way through your accomplishments? How your milestones are just a result of good luck, and that one day, someone is going to see through your ruse? If you answered yes, then you might be affected by the Imposter Phenomenon. According to a study published in 2011, "Individuals with the Impostor Phenomenon experience intense feelings that they are undeserving of their achievements and worry that they are likely to be exposed as a fraud." This can affect many aspects of your life, especially your career. Rest when you have to. We all have our means of dealing with our insecurities. But in order for us to get back on track, we need to look and feel our best. A glowing complexion would be a good start, don't you think? To get healthy skin from within, make it a habit to eat right, exercise regularly, get enough sleep, and take a vitamin-based skincare solution like Myra 400-E (d-Alpha Tocopherol) every day. Myra 400-E (d-Alpha Tocopherol) is available at all leading drugstores and beauty stores nationwide at the suggested retail price of P12 per capsule. 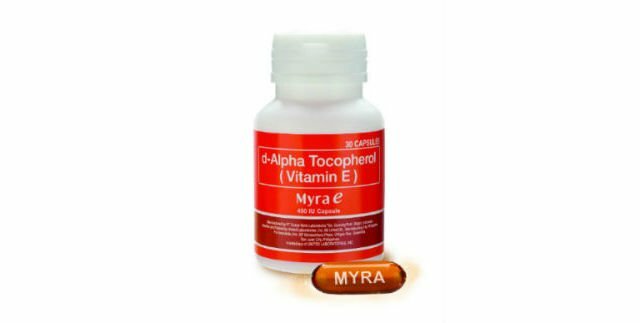 Want to try Myra 400-E (d-Alpha Tocopherol)? Go to their Facebook page and website now to learn more!